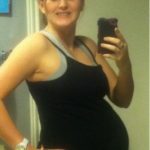 I can not believe that I am already 33 weeks pregnant, and trust me I am feeling it! I can not imagine how in the world my stomach can get any bigger! 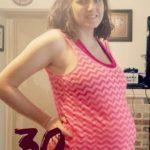 From week 32 to 33 my belly grew another 1 to 1.5 inches depending on how Luke is positioned at the time! That is 46 inches around… CRAZY!! 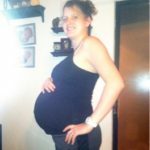 All the web baby web sites say that the baby is the size of an pineapple and is over 17 in long. The thought of labor is creeping up on me slowly and it scares me! But I just keep telling myself 7 weeks Erica 7 weeks!